The 16oz size includes a 15% discount. Categories: Teas, Chai Teas, Oolong Teas. 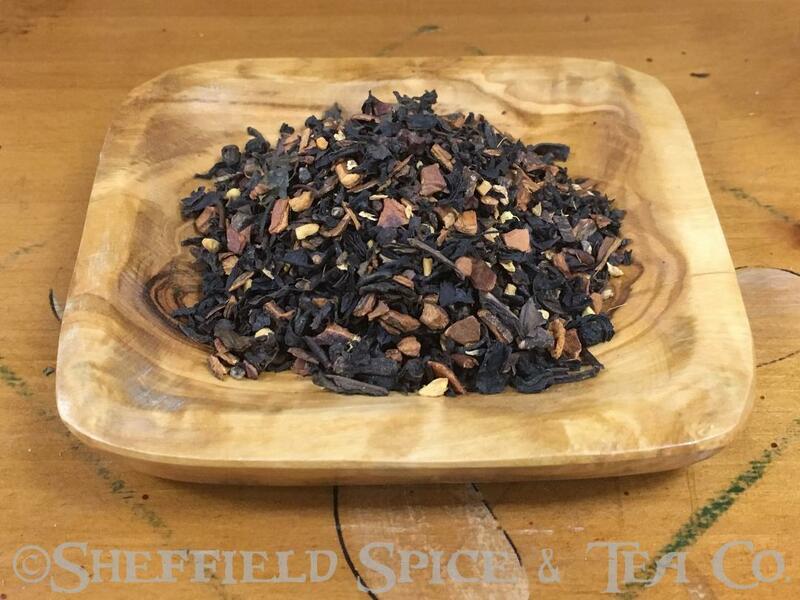 Taj Oolong Chai, which some call Maharajah Chai Oolong has a wonderful spicy Masala chai flavor with cinnamon and clove notes. You have the cardamom, black peppercorns, along with the cinnamon and cloves, all of which are necessary for a proper chai. Add in the cocoa nibs and ginger and…well, you get the picture. You have a complex blend of flavors to give you the chai experience but with the Oolong base for a great combination. With the underlying oolong flavor peaking through, both Chai and Cinnamon lovers will approve. If you love your chai teas, then you need to try our Masala Chai Black Tea, Night of the Iguana Chocolate Chai Tea, Vanilla Chai Black Tea, Rooibos Masala Chai, Roasted Mate Chai Tea and Masala White Chai Tea. Hot tea brewing method: Bring filtered or freshly drawn cold water to a rolling boil. Place 2 heaping teaspoon, for each 8 oz of water in the tea cup or teapot. Pour the boiling water into the cup or pot. Cover and let steep for 5 minutes. Garnish and sweeten to taste. Contains: Oolong Tea, Cinnamon Bark, Ginger, Root, Cardamom, Chicory, Cocoa Nibs, Peppercorns, Cloves and Natural Flavor.